Despite its color, the caterpillar featured in this post is know as the Yellow Bear, Spilosoma virginica. They in a variety of colors: whitish, yellow, orange, brown, to nearly black. They are the caterpillars of the Virginian Tiger Moth. They eat a wide variety of plants. They are similar to the more familiar Woolly Bear Caterpillar, Pyrrharctia isabella. 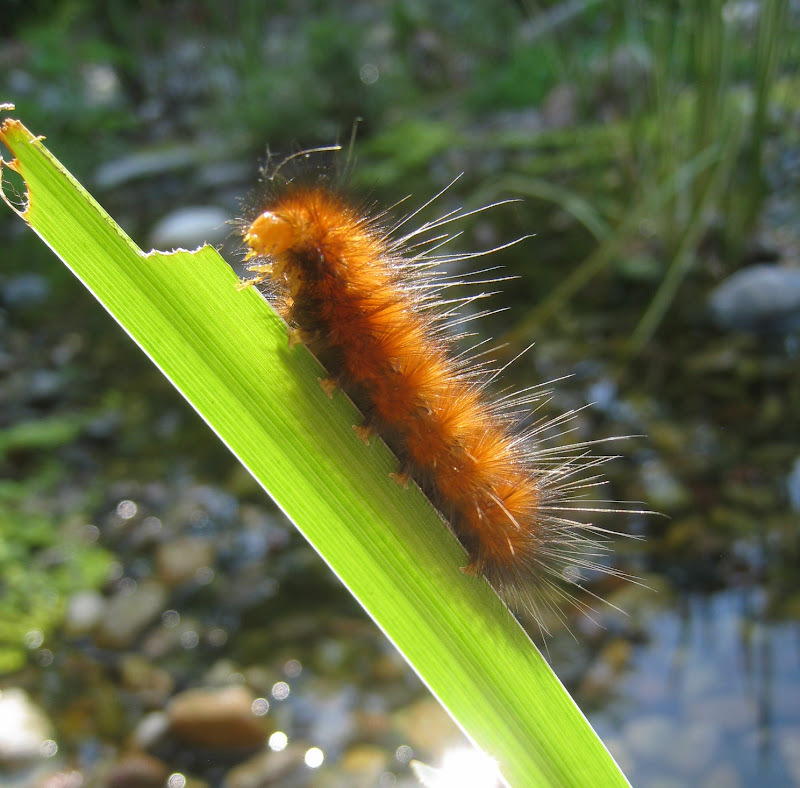 The Woolly Bear is typically black on its ends with orange in the middle, but it can be all orange, like the Yellow Bear pictured here (it can also be all black). 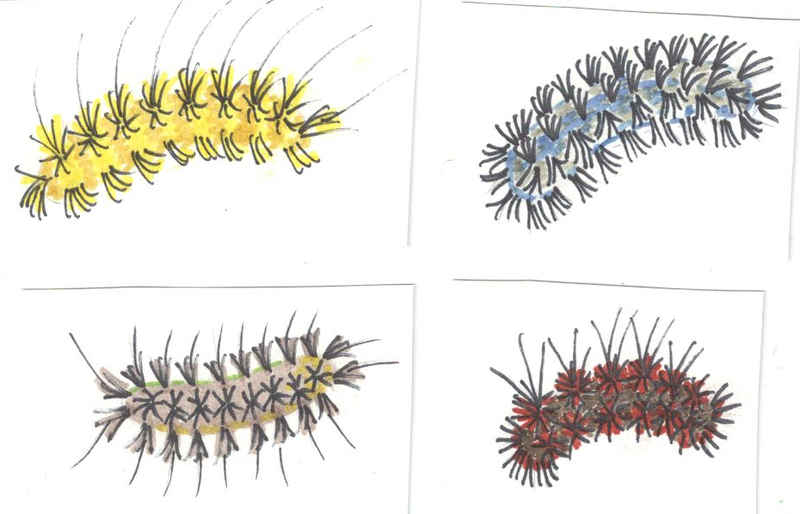 So they can look very similar, and have similar habits, but the Yellow Bear typically has a long hair projecting from each tuft of short hairs (this feature can be used to distinguish it from other similar Tiger Moth caterpillars).